Howarth’s Garage can provide a whole range of services including MOT testing for Cars, Vans and Motorcycles, Servicing and Repairs, Diagnostics and Air Conditioning etc. See below for more details. Keep a lookout here for our regular special offers! 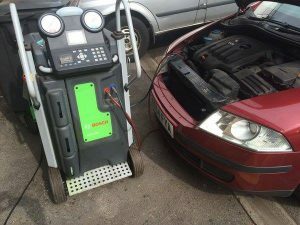 for only £48.00 including a free leak check using nitrogen gas.